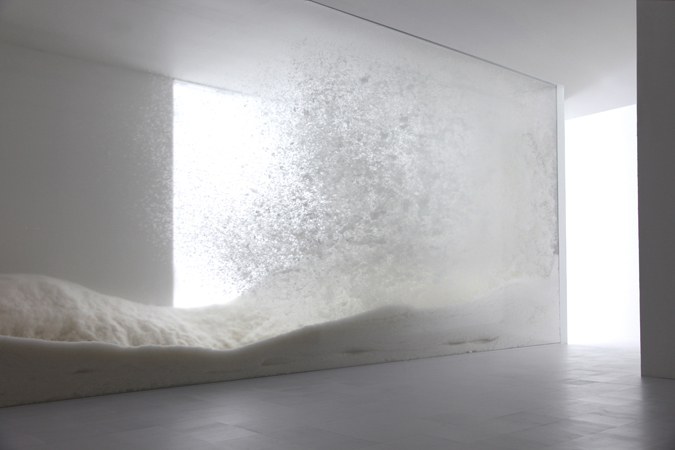 Snow is a 50-foot-long sculpture that, as the name suggests, looks like a violent blizzard blasting the art museum. 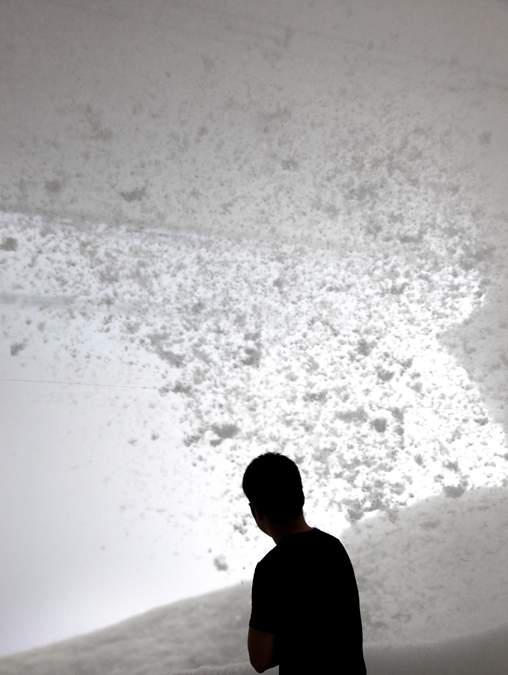 The “snow” is actually hundreds of kilograms of feathers flurried around a glass box by what we assume to be some sort of industrial air blower. 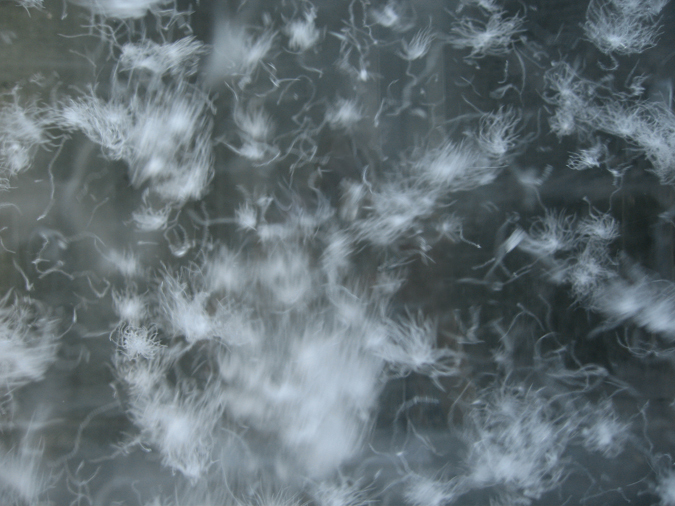 Yoshioka chose feathers because, as he tells it, their lightness and texture evoke the memory of snow better than the real thing. We agree. 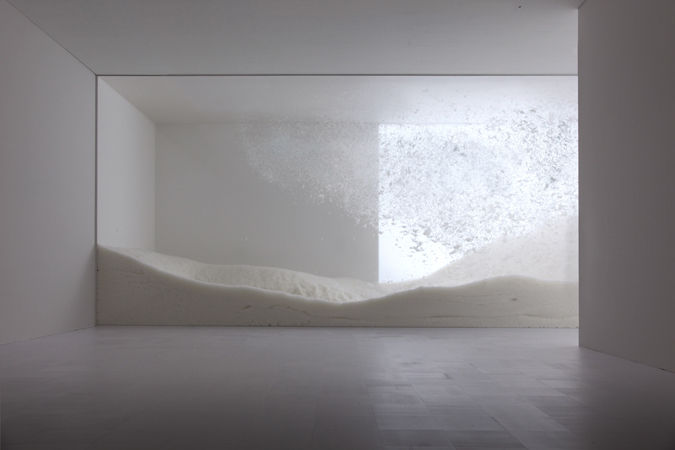 The installation’s part of the Mori Art Museum’s Sensing Nature exhibit, which runs through Nov. 7, and it’s the latest in Yoshioka’s years-long investigation into the poetics of everyday materials. For more coverage of Yoshioka, go here.